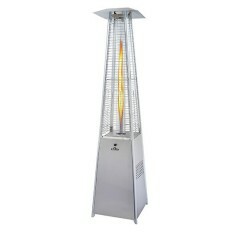 Jones Bros offers patio heaters from Napoleon. Napoleon patio heaters allow you to extend your outdoor living enjoyment past the hot summer months into the crisp weather of fall and into the spring. Napoleon patio heaters generate infrared radiant heat rays which direct their energy towards you and your guests, maximizing its warmth long after the sun goes down. Infrared heat is efficient, clean burning and uses less fuel while providing ultimate comfort.